A tool expert walks us through the various types of dust masks, the protection they offer and the importance of using the proper dust mask filter. 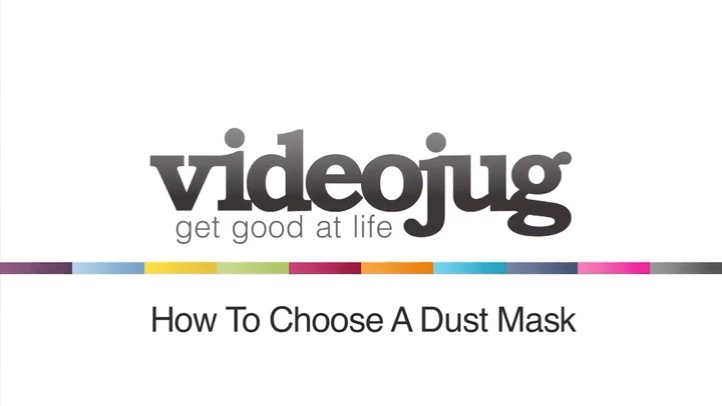 Hello, this is a video on how to choose a dust mask. Okay, I’ve got 3 dust masks here spread out right in front of me, going from the very basic to a top quality one. The first one of them here is a very basic dust mask and this dust mask should only be used for very, very light dust work, i.e. maybe just sweeping up. Your next one here is a bit more of a better quality dust mask, it’s got your rubber back here to go down the top of the head to the bottom and fits to the face quite well. This one’s used for more MDF’s dust, sort of non-toxic sort of stuff, it’s just a medium sort of dust mask, okay? Getting to the higher quality one, these ones actually come with filters here, okay, and you just unscrew these and they screw into the actual dust mask. Same sort of thing ,they’ve all got strings for the back of the head but these ones are a bit more quality, fit around the nose, and they can fit much better on your face. These ones got a bit of a bigger strap, they fit tighter to the actual face. You’d use this dust mask more if you were working with asbestos or toxic sort of fumes, okay. It doesn’t matter on the mask, it actually matters on the filter, you get different types of filters. This filter we’ve got here is a PT filter which dusts sort of high dust, MDF dust and stuff like that. But you can actually get a filter, the P3 filter; the P3 filter actually does asbestos as well. So, when you’re choosing the dust mask, make sure you get the right dust mask, obviously, but then make sure you get the right filters as well because the wrong filters obviously cause damage to your chest and your lungs. And that’s how to choose a dust mask.